This is a sponsored post by me on behalf of Lifescript.com about a subject that is very near and dear to my heart. It’s time to be honest, let’s get real about depression. I think that most of us go through a bout of depression at least once in our lives whether mild, severe or somewhere in between. There are so many depression causes that may ignite from a bad breakup, losing your job, a natural disaster, a friendship that ends, the death of someone close, among of number of things that bring about sadness and zap our motivation as humans. While I was never formally diagnosed as having depression, I know I have suffered from it for many years throughout my life, and it can be easy for it to creep back up now and then. It is, after all, certainly not the norm for a woman in her teens and early 20’s to weigh in at nearly 400 lbs due to so much stress and emotional eating, always feel sick and in pain, and rarely desire to go out due to a severe lack of confidence, right? My experience with depression unfortunately really started in my tween and teen years due to a not-so-great family life. Around that time, I finally started really becoming aware of just how sick my father was from bipolar disorder that he often refused to medicate and how much my mother’s health was suffering from lack of motivation and depression herself. Times throughout my teens only got worse for a long time including mental episodes from my father where he tried to strangle me and then had so many strokes he could barely function to where my mother became so ill she became bed-ridden and started taking her frustration out on me through verbal and emotional abuse. It was quite difficult, and painful, to experience my mother transforming from the role model and hero I once saw her as to a shell of her former self that no longer cared about anything. While I understood why my mother turned into the person she did, it didn’t make being more of a parent to my own parents than they were to me, when I perhaps needed them most, as a teenager any easier, nor did all the talking down to me help. So I dove deeper into depression, eating more junk, moving less and less, struggling with the motivation to go to school, not wanting to go out and gaining more weight while locking myself into a social box. While I never attempted suicide, I’d be lying if I said it never crossed my mind, especially when for many years I feared being bipolar like my father. Luckily, through everything one silver cloud did form. I met the boyfriend who helped me see what my family life was doing to me and that if I didn’t quickly get out and build a better life for myself, I’d end up like my mother and likely soon dead. Needless to say, that wasn’t the life I pictured for myself, so with his help I left the situation when I was 23 and now at nearly 28, have since lost a lot of weight, actually have self-confidence and worth and am for the first time in my life, truly happy. 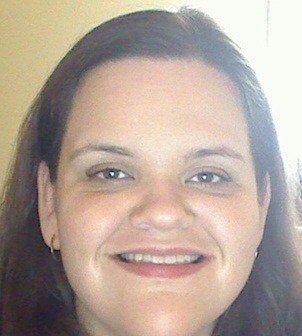 One of the first pictures of myself where I knew that the smile wasn’t fake and that I really was happy. As I mentioned before, even though my life and lookout has improved by leaps and bounds, old habits do die hard and I can feel the depression sometimes creeping back in after a string of bad luck, etc. I love that the internet has grown so much today that there are now several resources to help me work through the depression and realize I’m not alone. One of my favorite sites to visit when I start feeling depressed is the Lifescript.com Depression Health Center. Lifescript.com provides medical information, tips and advice that are all written by professional health writers, experts and physicians. I love the variety of depression articles that help me identify when I am starting to deal with depression again so I can try to nip it in the bud. Plus, they remind me to apply positive lifestyle changes and stories from fellow depression sufferers that I can identify with. I find that with these tools, it helps me recover much faster and continue to live my life the way I really want to. 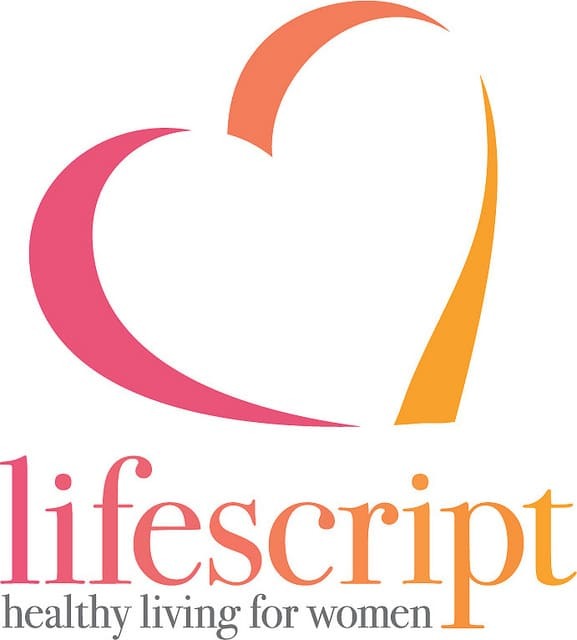 Visit www.lifescript.com for useful information on Depression and other prevalent medical conditions related to women’s health. Want to read more articles related to depression? Here are 3 from Lifescript.com that I really enjoyed reading: Depression Symptoms (some aren’t always so obvious to us), Recipes that can help boost your mood, and Patient Stories. Thanks for your story…I”m glad you are doing better and out of the environment. Yes there are types of depression, situational, post-partum and clinical which as you found out runs in families and is inherited. My wish is that people would not be afraid to seek help…and not be afraid to try medications which can be such a help. Thank you for shedding more light on depression. It’s not a condition that is anyone’s fault and needs treatment for more serious conditions. Thankfully you didn’t act upon your feelings you had to harm yourself. I know too many who did, successfully. Thanks, Colleen. Some days are still definitely a struggle, but focusing on the present and future help a lot vs dwelling on the past. I do definitely recommend anyone who is suffering to get help. I was lucky to have someone in my corner to help me motivate me to guide myself through since I didn’t have health insurance or the money to seek help. This is a topic I am strong advocate and passionate about. A lot of people don’t realize there is situational depression, that a lot of people go thru at least temporarily in their life from a difficult painful situation like some you mentioned, but there is another kind too. Clinical depression which is often hereditary and is a physical chemical imbalance and that person can become seriously even dangerously depressed even if everything else in their life is going beautifully for no apparent reason at all. Even that kind can be helped. You need a good psychiatrist and need to be patient while you try different meds and dosages with your dr.s help to find the right ones that work for your individual body chemistry because each depressed patient is different. Same thing for bi polar disorder, it is not curable but IS VERY treatable if patients work with their psychiatrist and commit to taking their meds every day for the rest of their lives. I am bipolar and so is my husband and my mom and more of my loved ones suffer from various mental illnesses and we are so well balanced on our meds now that people would never guess we have such a serious disorder. The right meds can truly give you back high quality of life and make you in control of your life and emotions instead of them running over you out of control. It feels like a miracle and like you were reborn when you get to that point. Don’t give up, when I first tried to get help and had trouble finding the right meds for awhile, I felt hopeless and like I would need a surgical brain transplant to ever be ok, but that was far from true. I couldn’t be happier these days. Thank you so much for stopping by and sharing your insight and experiences. I’m so glad that the medications are working so well for you and your family and that you have committed yourself to taking them. They really do make a ton of difference, but I know it is hard for many to stay on the medications. My father was one that wouldn’t stay on them for more than a few months at a time so he had many ups and downs. I am so glad you are doing better now and hope you continue to grow healthier by the day. I have dealt with depression for a long time and am now on 3 different meds for just that. I use lifescripts for lots of things it is a great resource. Thanks for bring awareness to such a dark issue. Thank you so much for your kind words, Laura. I wish you the best of luck with coping with your depression, it is certainly a long and often tiring road. I know it took years of lifestyle changes and inner willpower and soul searching for me to even be able to begin to get to the point where I am now. I am very thankful that I was able to do so.